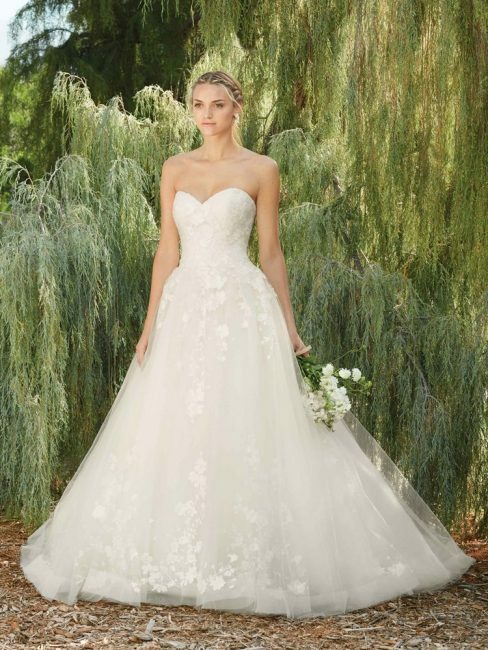 Morning Glory has a fitted, flattering sweetheart neckline bodice that flows into a full ball gown skirt. Scatters of butterfly lace and a horsehair trim add a whimsical and flirty touch. This is a gown that truly allows the bride to feel like a princess, though in a sophisticated, not juvenile way.